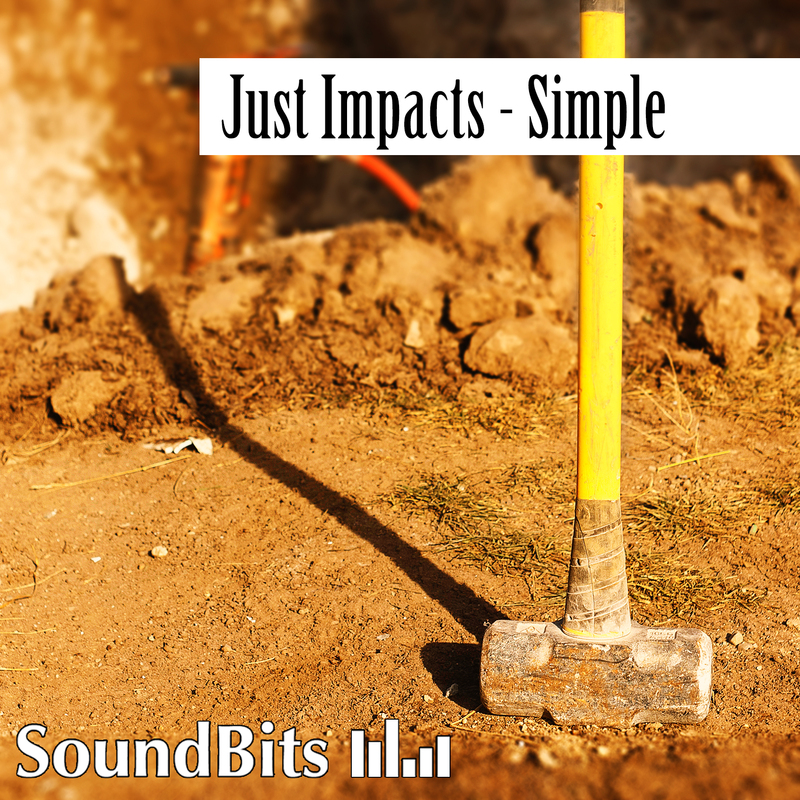 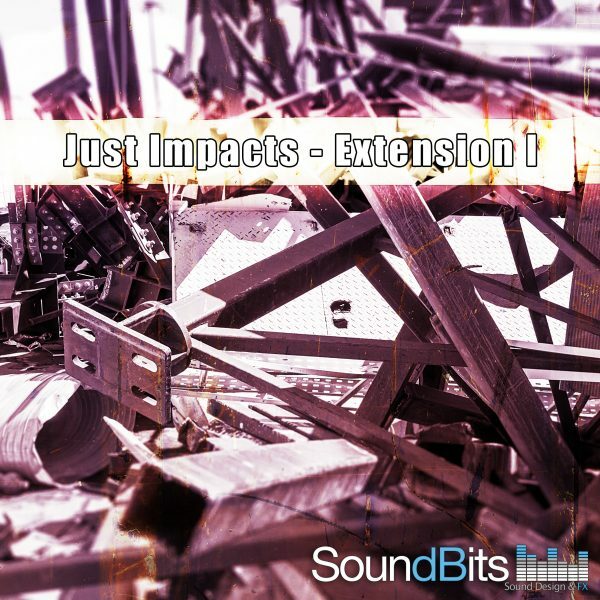 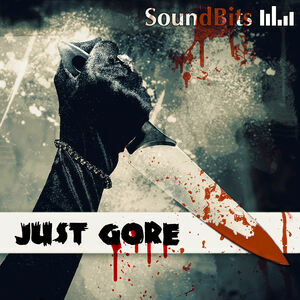 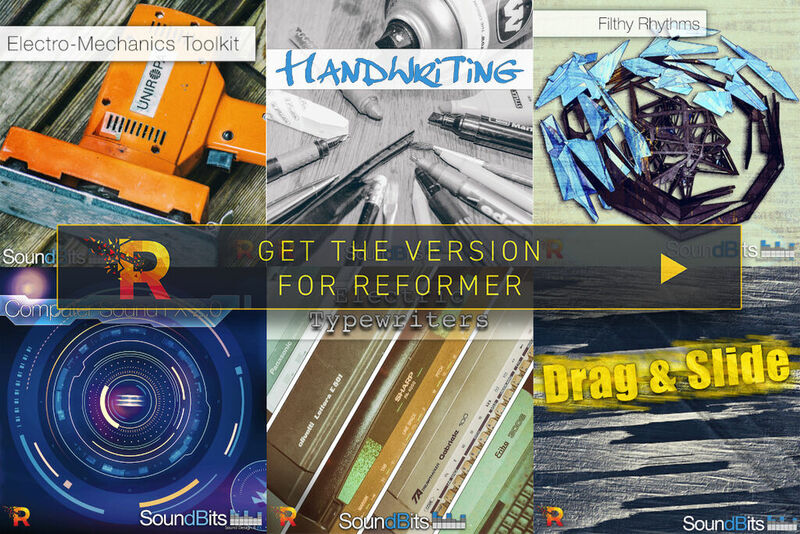 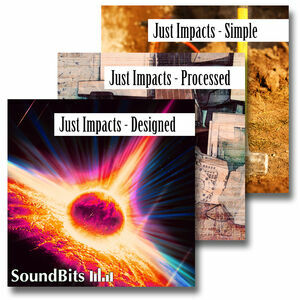 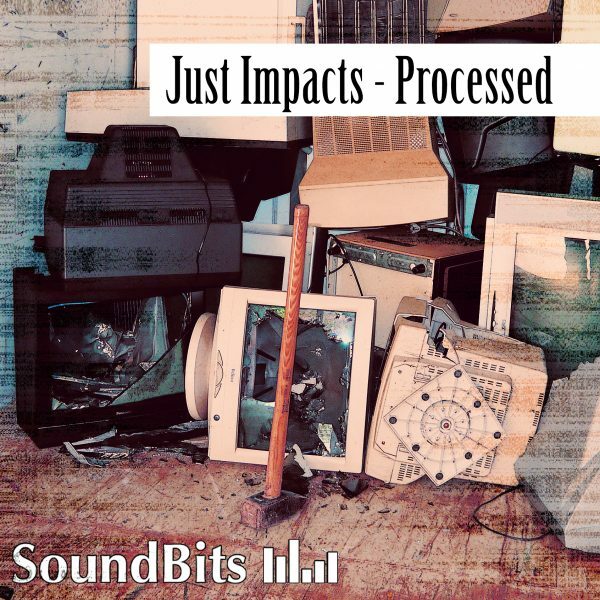 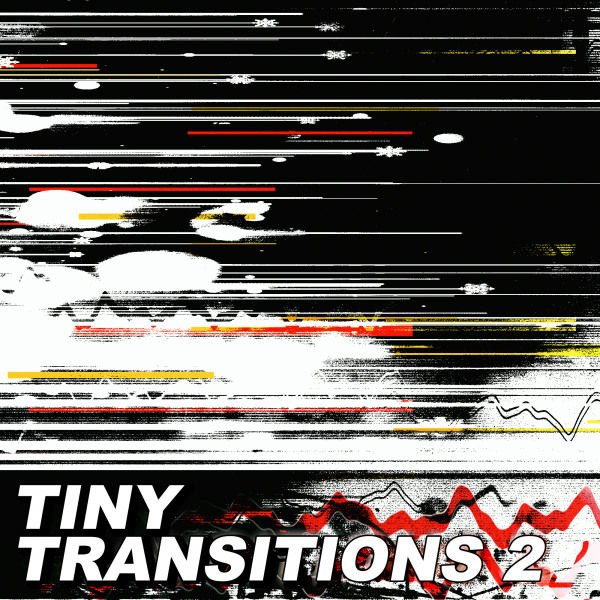 Just Impacts – Simple: a huge collection of plain impact sounds. 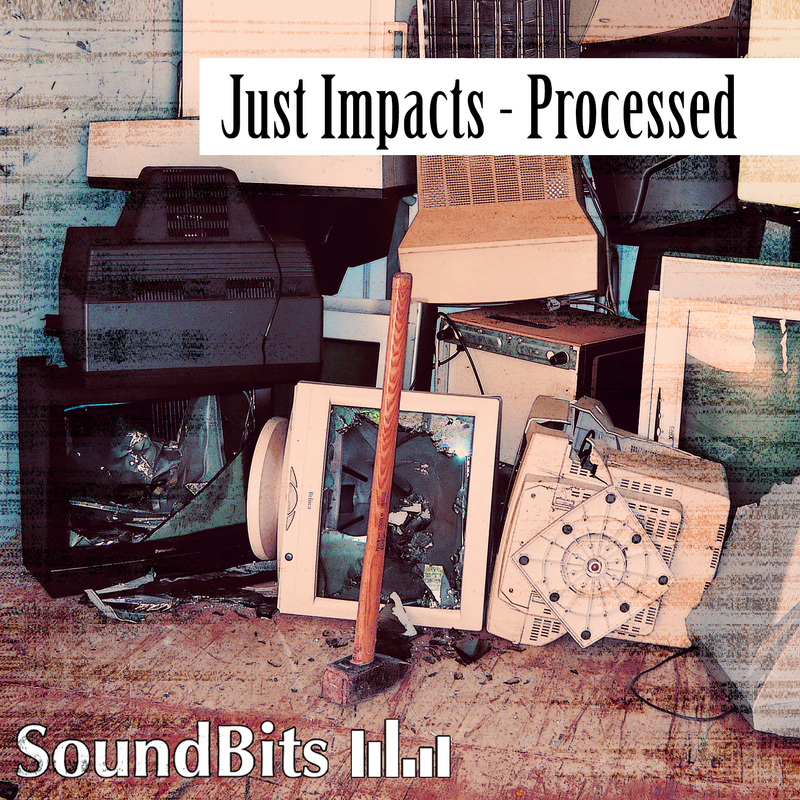 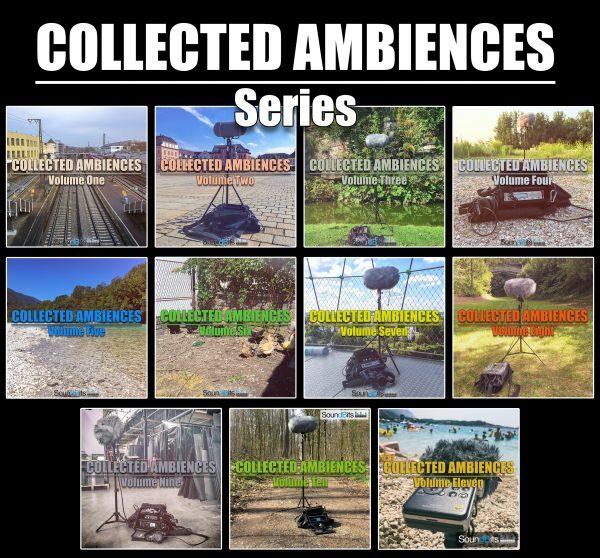 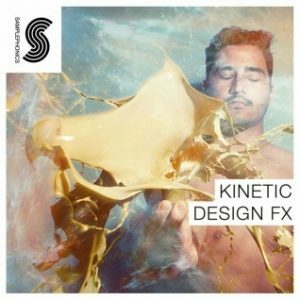 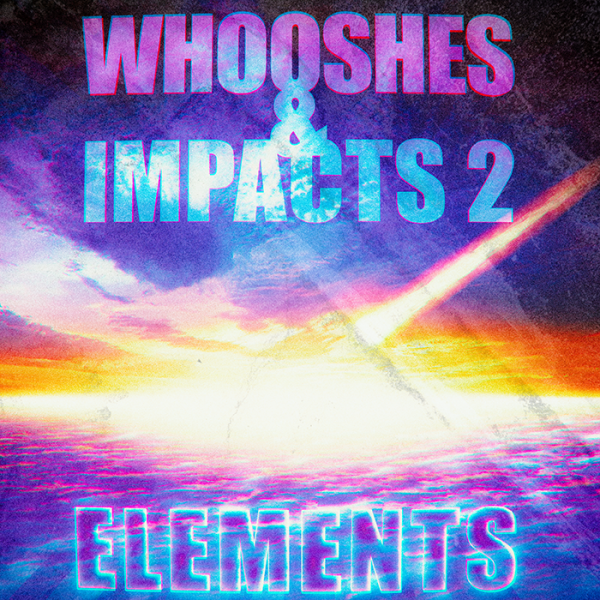 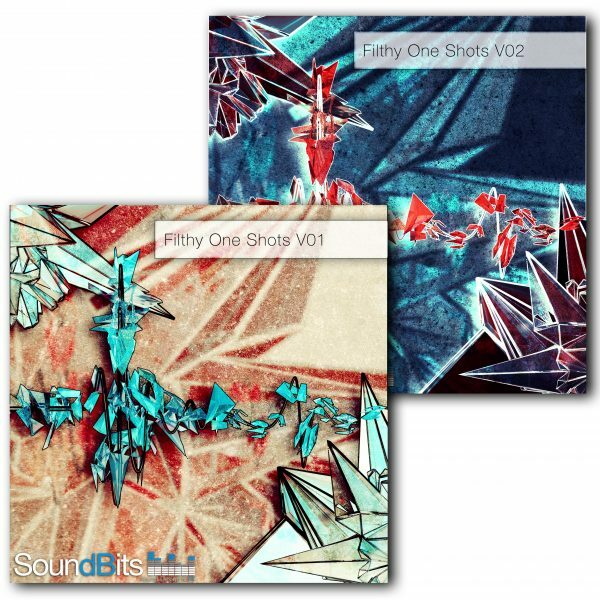 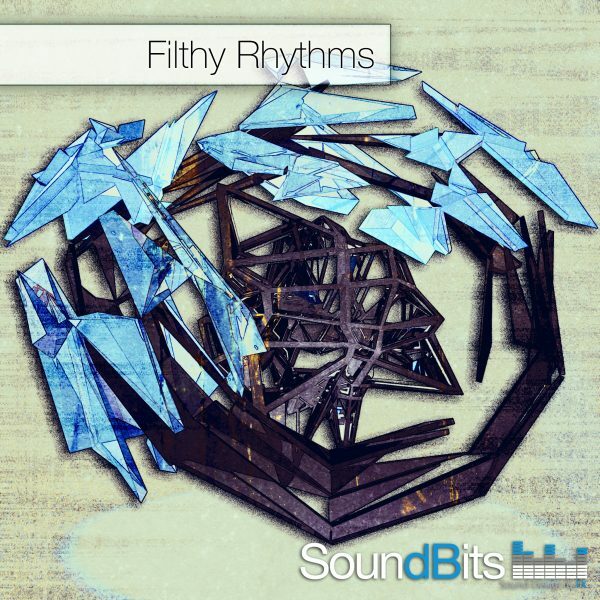 Metal hits, wood impacts, glass smashes, junk crashes, … 618 Sounds in 360 files. 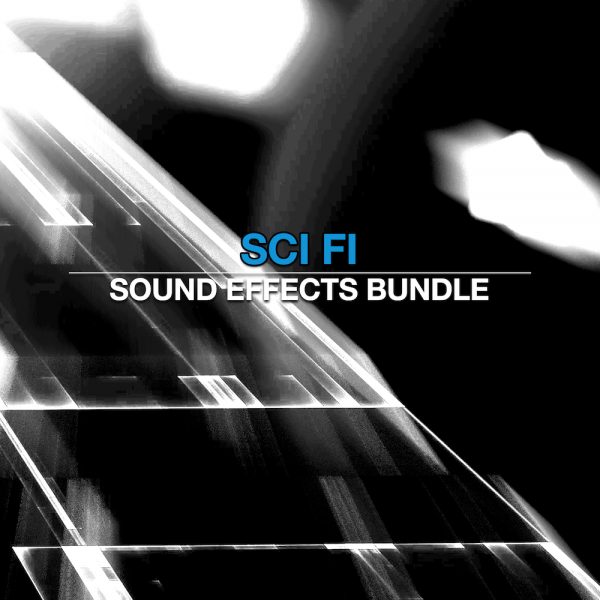 This is a must have construction kit whenever it comes to a movie or game scene where something hits something else. 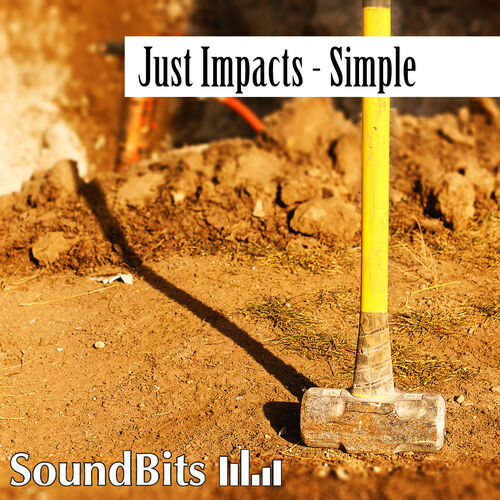 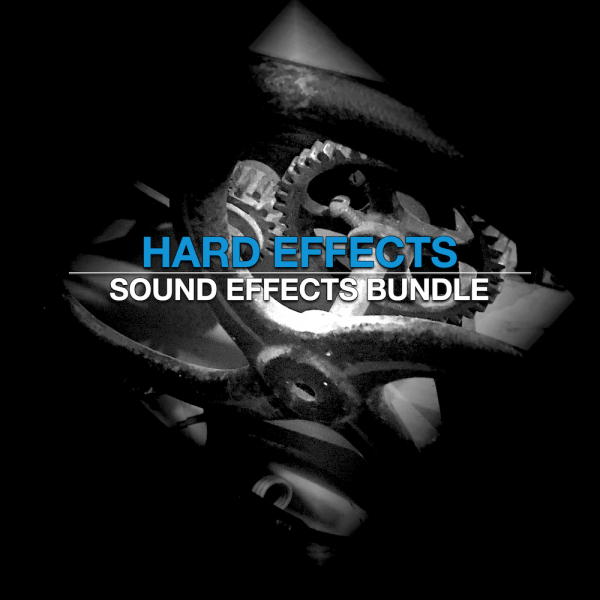 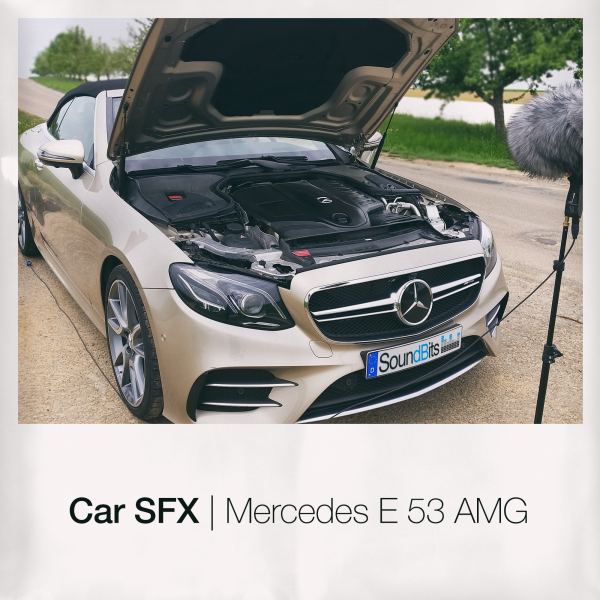 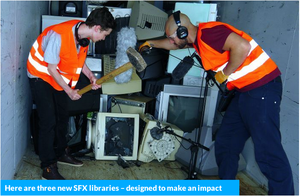 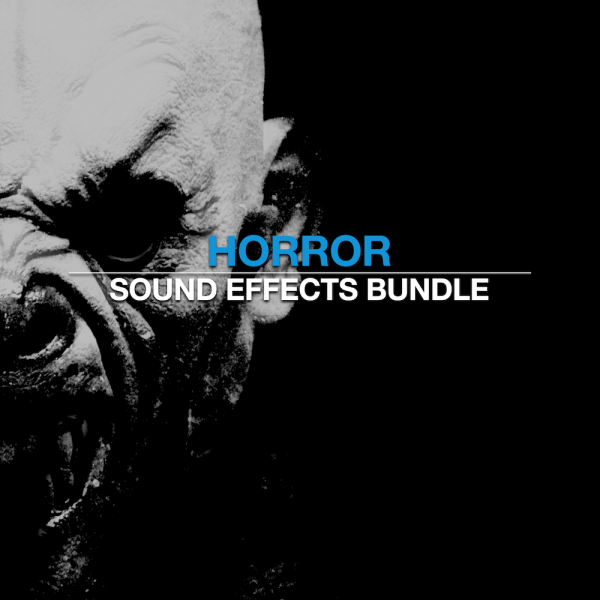 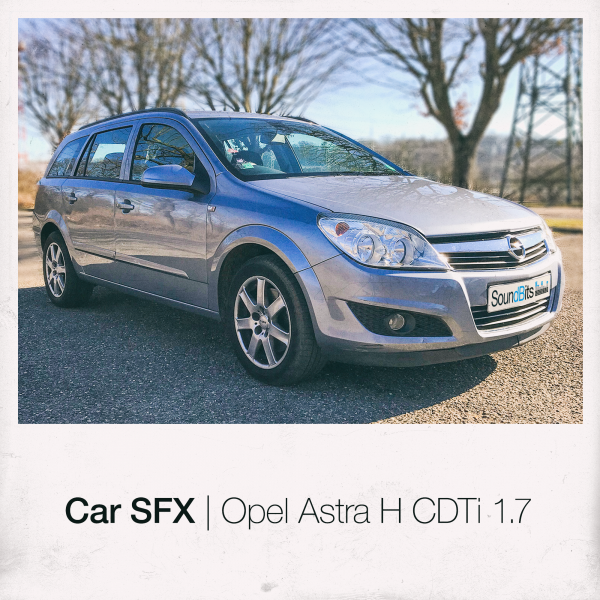 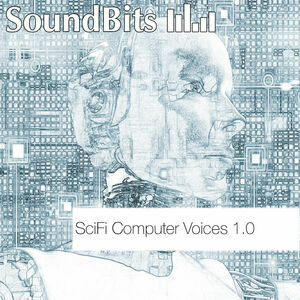 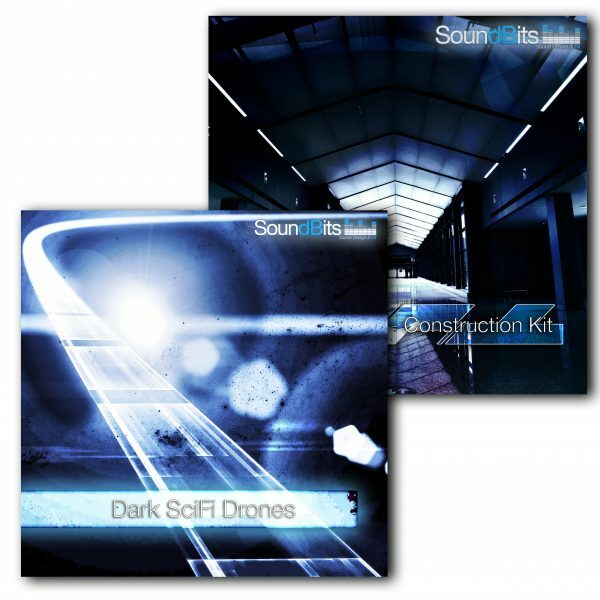 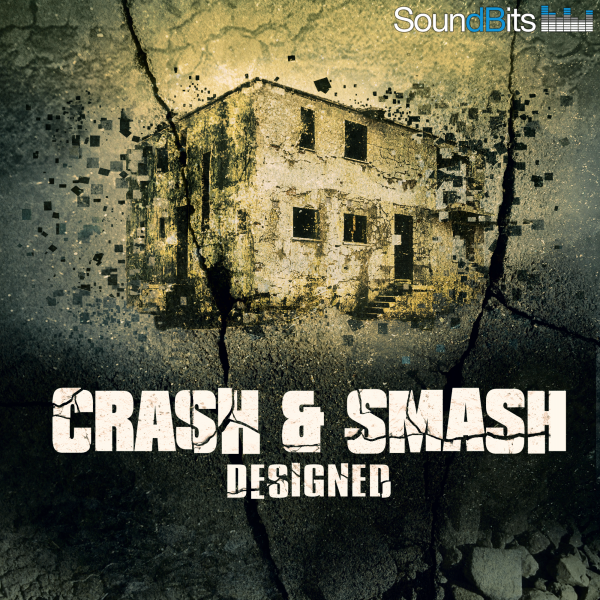 Think of car crashes, robot fights, sci fi battles or any other kind of impact that needs the right sound effect.